Been seeing trailers for this film a lot. Looks mildly interesting - the general premise of it anyway. Invisible aliens take over to harvest all of Earth's energy resource. I'd watch it just for the special effects. Otherwise, it looks like your standard alien invasion flick. 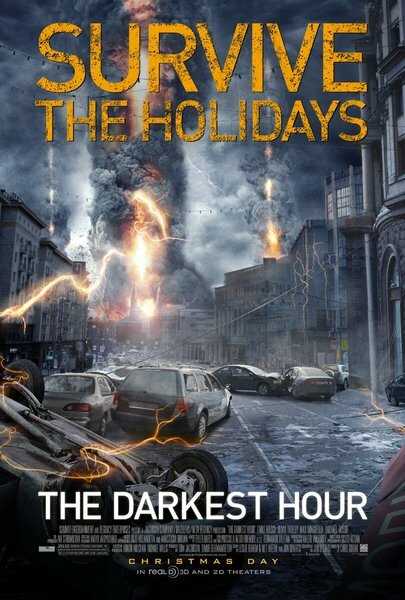 Synopsis: Director Chris Gorak (Right at Your Door) teams with producer Timur Bekmambetov for this tense apocalyptic thriller centering on the fight for survival waged by five youths who find themselves stranded in Moscow during an alien invasion. As the invisible extraterrestrials absorb all of Earth's energy and life forms, finding a means of escaping the unstoppable attackers becomes a seemingly impossible task. Emile Hirsch, Olivia Thirlby, and Max Minghella star. Out in theaters on December 25.